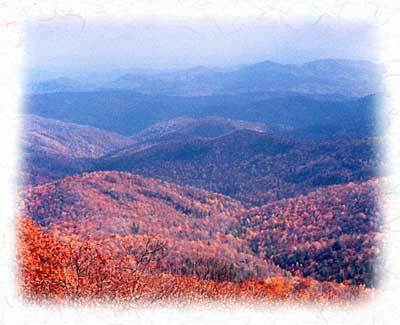 Our mountains are the oldest surviving mountains in the world. They where pushed up between 350-300 million years ago when the North American and African tectonic plates collided near the equator. When they where formed they where estimated to be higher than 20,000 feet. As high or higher than the Himalayas. These mountains are not only older than the dinosaurs, they are older than land animals themselves! When they formed, only plants covered the mountain slopes. The animals evolved and developed in the swamps below. As the mountains eroded their sediment covered the vast swamps and forest that surrounded them, creating one of the largest deposits of coal on Earth. After about 100 million years of mountain forming. The same tectonic forces that formed these great mountains pulled the mountains apart at the seam, leaving the Appalachian chain in North America, the Atlas Mountains in North Africa, and the Caledonides in the Celtic and Scandinavian countries. It's no wonder that to many early settlers, the mountains had a special appeal, resembling the hills and glens of home. They were the same mountains!